Hi All, I have seen a few posts here regarding problems with the earthing of the A1's rear light, causing intermittant and permanent failure of all lights in the cluster. The answers are helpful but I am unable to carry out the suggested actions as I cannot undo the plug from the wiring harness. Can someone explain how to physically disconnect the wiring? I believe there is a knack to doing this, probably by pushing IN before attempting to pull out, but after two hours I gave up fearing that I'd destroy the plug. 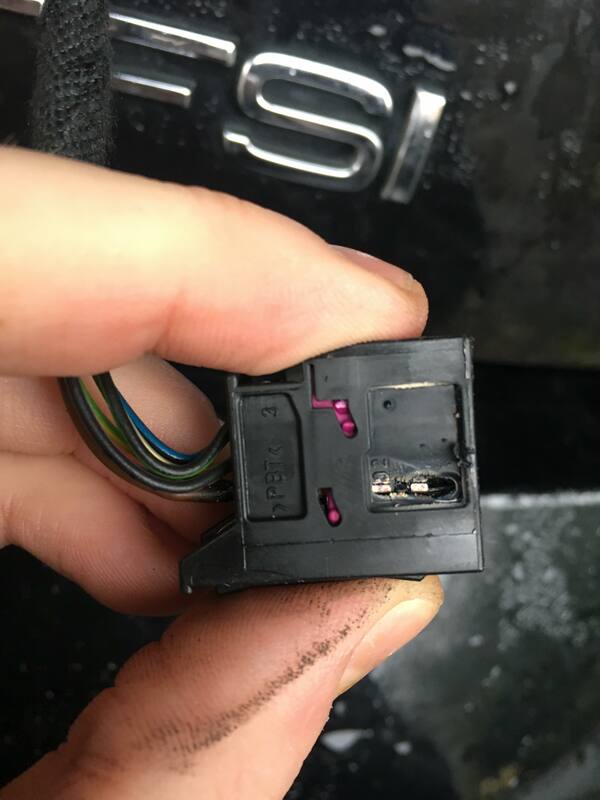 Any help appreciated, perhaps pictures of the connector out of the car, so that I can see how it "clicks" in. Or a Youtube video you may have seen that helps. Reseting Ecu to unplug MAF....just disconnect ECU for a lil while? or disconnect battery too? if i disconnect the battery to work on some elec stuff, does it matter which terminal i disconnect? help! how do i disconnect the headlight harness connector?